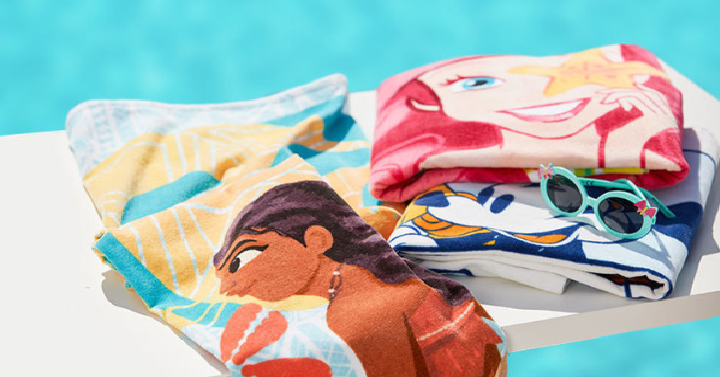 Shop Disney: Personalized Beach Towels Only $9.99 & Cover-Ups $15.99! Nice! Shop Disney has personalization on beach towels, cover-ups, robes and more for only $1.00! Just use coupon code DOLLARPZ at checkout. You can get personalized beach towels for only $9.99 with coupon code or you can get super cute cover-ups for only $15.99 after coupon code. Plus, use coupon code SHIPMAGIC to score FREE shipping with any $75 or more purchase.